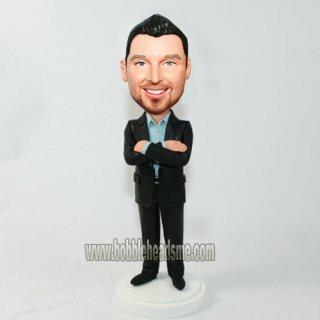 Arms crossed in front, this custom male businessman bobble head doll is wearing a blue shirt to go with his black suit. 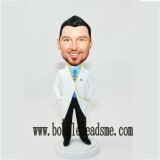 A customized bobblehead both bringing fun to life and functioning as encourage stool to make your life easier. 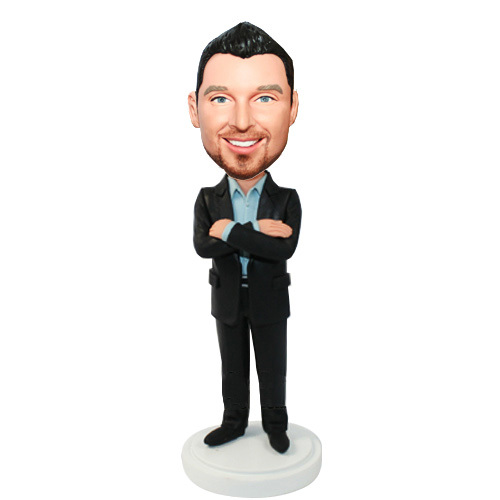 It’s a great item for any man who are seeking his sucess.